The song was played by Chuck Berry backed by Bruce and his band . During the concert for the Rock And Roll Hall Of Fame. The song was played by Chuck Berry backed by Bruce Springsteen & The E Street Band. During an event that was part of a special concert titled "Nicky Addeo and Friends celebrate the Music of Asbury Park's Westside." "Johnny B. Goode" is a 1958 rock-and-roll song written and first recorded by Chuck Berry. "Johnny B. Goode" is considered one of the most recognizable songs in the history of popular music. The song is about an illiterate "country boy" from the New Orleans area, who plays a guitar "just like ringing a bell", and who might one day have his "name in lights". Berry acknowledged that the song is partly autobiographical . The opening guitar riff of "Johnny B. Goode" is essentially a note-for-note copy of the opening single-note solo on Louis Jordan's "Ain't That Just Like a Woman" (1946), played by guitarist Carl Hogan. 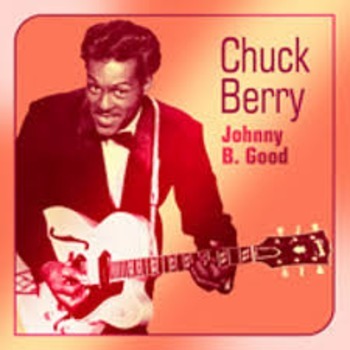 Berry wrote four more songs involving the character Johnny B. Goode, "Bye Bye Johnny", "Go Go Go", "Johnny B. Blues" and "Lady B. Goode". "Oh my that little country boy could play"
Saying 'Johnny B. Goode tonight'"